Last week Cantillon Classic Gueze was the poll winner so I opened it on Saturday afternoon. This bottle was originally purchased at Bangor Wine & Cheese and has been in my cellar ever since. Bottle date was 2011 but it showed no signs of deterioration, cap came off without issue and cork came out in one piece. 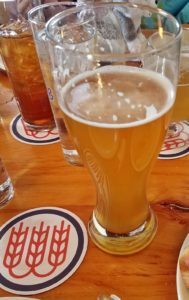 Pour was a crystal clear pale orange with minimal head. Aroma was sour apple, grapes and a bit of funk. Taste was about the same with a very pleasant mix of slightly sweet almost honey and tart sour apple that lingered. This is not a beer that should be used as an intro to sours but it is also not soured to the point of making your eyes water. 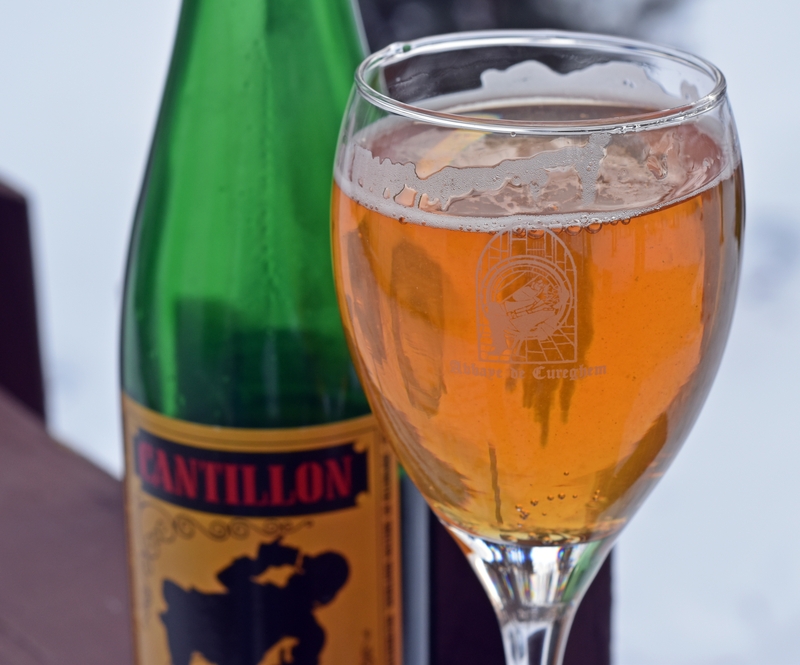 Just a really great blend that shows why Cantillon is one of the best. Overall I give this beer a 4.75 out of 5 – just a great all around beer that every sour beer drinkers should try at some point regardless of the cost. This weeks poll winner was Crooked Stave Blackberry Petit Sour so check in next week for a review of that beer. New poll at the end of this post so be sure to cast your vote. Speaking of sour beers Allagash released a couple new Coolship beers this week so I made the trip with my family on Saturday to grab Coolship la Mûre and Coolship Clermont. la Mûre is aged on blackberries and Clermont is aged in bourbon barrels. They also had bottles of Resurgam available so I grabbed a couple of these for the cellar. Since I am already drinking Blackberry Petit Sour from Crooked Stave this week I may have open one of those bottles of la Mûre to see how it compares. Surprisingly this was the only beer I purchased this week. 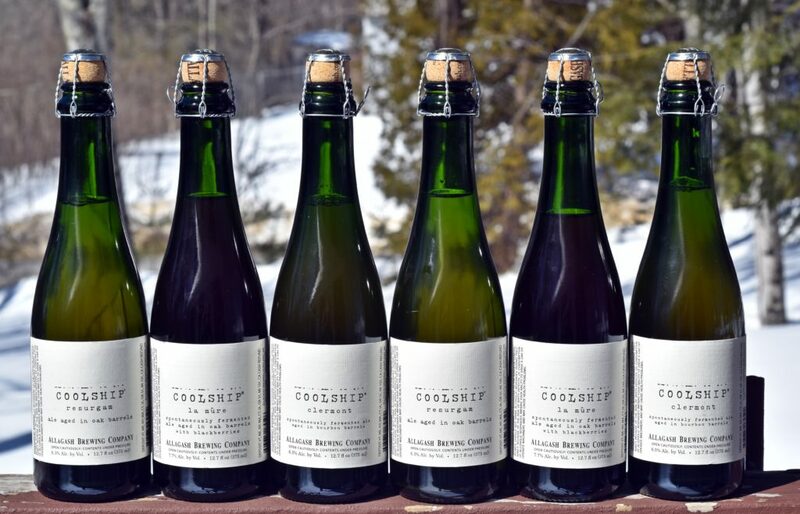 Still not a cheap week of buying beer at $15 per bottles but if these new iterations of Coolship are as good as the others it will be worth it. 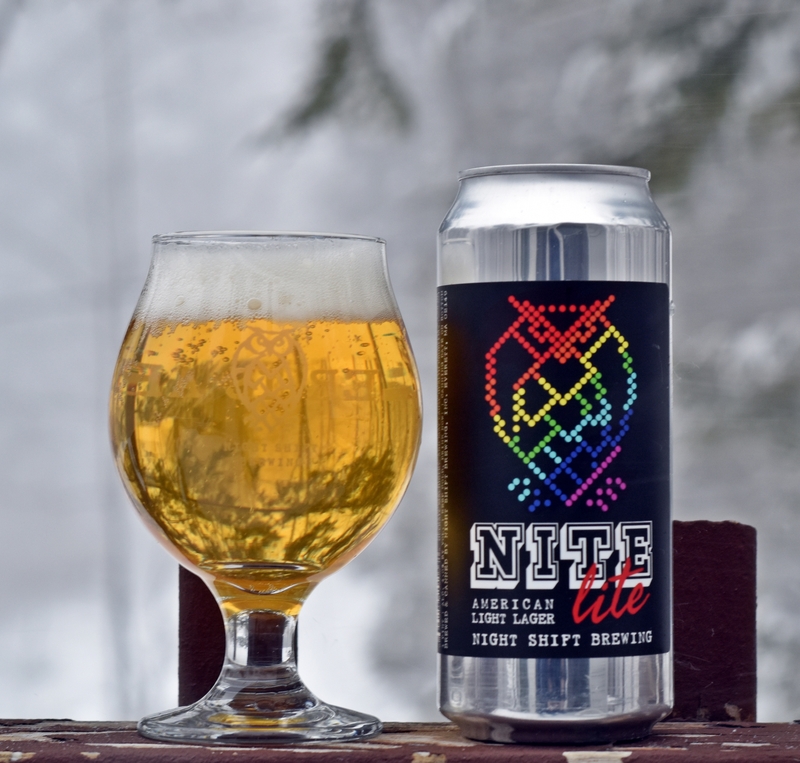 American Light Lager – 4.3% ABV – 4 of 5 starsNite Lite is Night Shift’s answer to the traditional American Light Lager (think Miller Lite). I was intrigued so I grabbed a 4-pack on one of my recent trips to the brewery. No surprise this one pours a very clear pale yellow with a solid white head. Aroma was light but had some grassy hop and unripe apple character. Taste was what you expect from a light lager, clean, crisp and refreshing but Nite Lite had enough flavor to make it enjoyable. This beer is super crushable and one that I would not mind drinking on hot summer days. I gave this one a 4 out 5 not because it was an exceptional beer but because it was so much better than I anticipated and truly surprised me. If you have the opportunity to grab cans or try this on draft do not hesitate to order it. 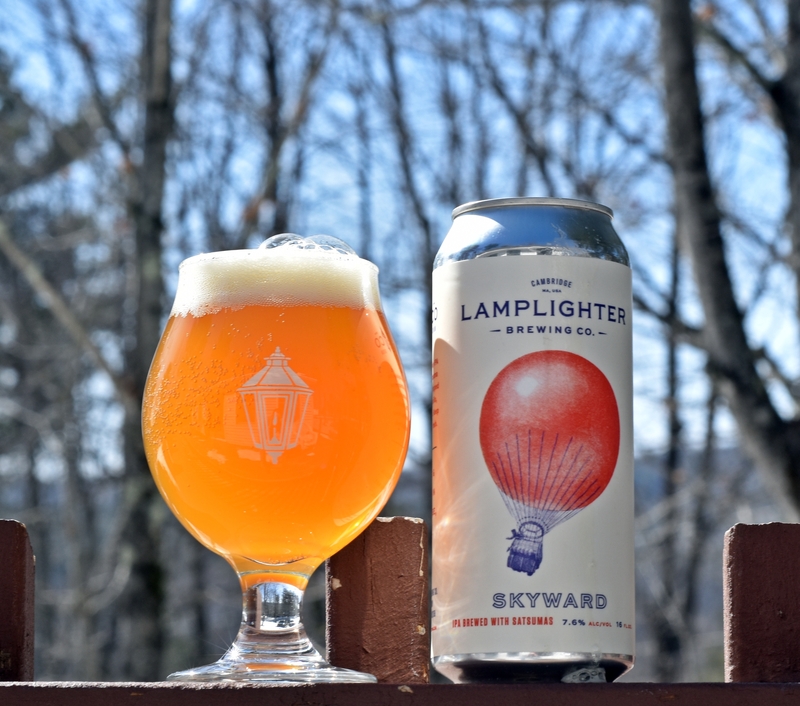 American IPA – 7.6% ABV – 4 of 5 starsI have been pleased with the IPAs coming out of Lamplighter so when I was there last and they had cans of Skyward an IPA brewed with Satsumas I had to grab a couple. Pours a deep orange with solid off white head. Aroma is full citrus and melons, very enticing. 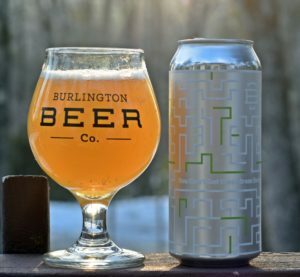 Taste follows with big juicy citrus, slightly acidic but finishes with a fair amount of bitterness when compared to other juicy IPAs. I actually enjoyed the bitter finish as I feel an IPA is missing something without it. 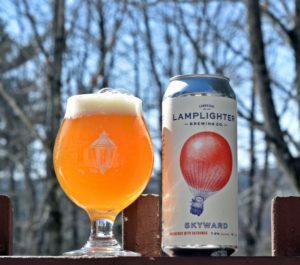 Really enjoyed this one but my favorite from Lamplighter is still their brett IPA which is only available in the tasting room, no cans or growlers for now. If you are in the Cambridge area be sure to stop in to see them, parking tends to be pretty easy right around the brewery so don’t let the fear of finding a spot keep you away. American Wild Ale – 4.5% ABV – 4 of 5 starsI love Burlington Beer and have tried many beers from them. Joe is killing it with everything he releases and I make it a point to stop in every time I am in Burlington. Fortunately I am working with more accounts in the area so will be visiting more frequently in 2017. 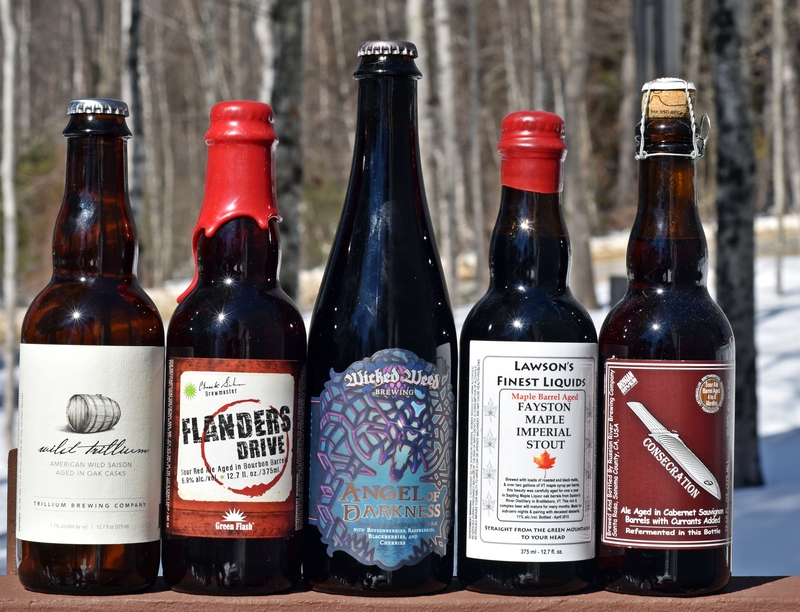 You Can’t Get There From Here is a rotating series of slightly sour beers with varying fruits. This one used kiwi and gooseberry but prior versions have used; honeysuckle berry, peach and passionfruit, and prickly pear and pink guava. Pour is a slightly cloudy light orange with minimal white head that dissipates quickly. Aroma was light sour but not a lot of fruit. Taste was relatively simple and only mildly sour. You can tell there is some fruit there but since I rarely eat kiwi and never eat gooseberry I could not tell you if those flavors came through. This beer was super refreshing and very drinkable, an approachable “sour” beer for those that might not have experience with the style. The first couple weeks I picked out some bottles that have been around for a while that I wanted to try. This week I simply opened the door and grabbed the first 5 small format bottles I could find. Some interesting choices and a wide variety of styles. – Wild Trillium – Wild saison aged in oak barrels. – Consecration – Ale aged in Cabernet Sauvignon barrels with currants added. Which beer should I drink next week?